Joe McGuirk works behind the bar at Highland Fried in Cambridge. Whether you prefer tropical drinks or wine and beer, there are many new places serving up refreshing libations. Boston shakes off its chilly reputation to embrace the foods and flavors of warmer climes, washed down with mood-altering concoctions from talented mixologists. The family that owns Sichuan Garden at Brookline Village transformed its bar into a tropical paradise that is definitely not your grandparents’ Chinese restaurant: Beatific mixologist Ran Duan oversees a drinks program that extends from flaming cava punch to tall, foamy glasses of sherry blended with rum, sesame, lime, and pineapple milk. The food also pushes the envelope, with shards of cucumber bobbing in chili garlic sauce, ox meat slicked with chili vinaigrette, and pickled vegetables awash in a tongue-numbing brine. Loyal fans can still get the restaurant’s old-school dishes. Mark Romano and Marci Joy, owners of Somerville’s beloved Highland Kitchen, transformed the longtime Inman Square home of East Coast Grill into Highland Fried. The menu is accessible and comforting, from fried chicken and all manner of barbecue to fried green tomatoes and buttermilk biscuits, the scorpion bowls the size of human heads, the room crowded and loud. It’s a throwback to simpler, spicier times. Arrive at a darkened South End street corner, slip down several flights of stairs, and alight in a thumping bunker wrapped in jungle-print wallpaper and dimly lighted by flickering tiki torches. This transporting experience, somewhere between wartime Polynesia and 21st-century Vegas, comes courtesy of Colin Lynch (Bar Mezzana, O Ya, Barbara Lynch Gruppo). The food — scallion pancakes, mushroom gyoza — is fine, but the atmosphere and powerful tropical drinks are what make the night. An in-house sushi bar with its own menu, No Relation, adds to the bustle. Choice rules the day at this colorful paean to Polynesia. Turn left when you enter and you’re in Oisa Ramen; turn right and pick from a sushi bar, the room-dominating main bar, plush-chaired seating, or banquettes that create intimacy even when things gets raucous. The menu is proudly pan-Asian, the décor toned-down Trader Vic’s, but the gaudy, clever cocktails are the real reason to return. WOULD YOU LIKE WINE OR BEER? YES! Artisan cocktails aren’t going anywhere, and fans of imaginative libations are relishing the panoply of choices coming from vineyards and breweries. A look at our favorite newcomers. 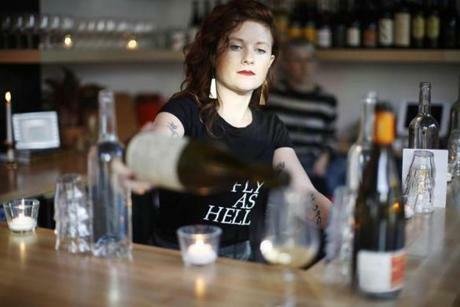 Owner Lauren Friel pours a glass of wine at Rebel Rebel. The centerpiece of this 34-seat Watertown wine bar and restaurant is the bar itself, built by hand by Matt Sargent after he and his wife, Nancy, decided to open this ode to journeys worth making. The wine list merits exploration; sommelier Carol King of Porter Square Wine & Spirits built an excellent collection of new-wave, natural bottles. The menu is simple: meats and vegetables, locally sourced whenever possible. Matt Sargent cooks after 30 years spent as a builder. Judging from the early crowds, he’s nailed the career change. From the owners of Downtown Crossing wine bar haley.henry comes this Fenway oasis. It’s handsome as all get-out, decorated in gray, turquoise, and tobacco, velour and marble, lush floral paper on one wall. Peter McKenzie (Strip-T’s, Shepard) is revamping the menu. But the real reason to come is in your glass: small-production, natural wines made by women. A tiny wine bar with a big attitude, Rebel Rebel pours natural wine for those in the know and welcomes novices, too. Lauren Friel, who was the wine director at Oleana and Sarma, runs the Union Square spot, and there’s plenty to geek out on, from Greek grapes to grower Champagne. Come here to mingle with industry professionals, snack on potato chips and cheese plates, and taste pours you’ve never tasted before. Meanwhile, this was an excellent year for hopheads who like to get out of the house. It seemed there was a new seasonal beer garden everywhere you looked. And a number of craft breweries debuted shiny new taprooms, showcasing their lineups year-round. 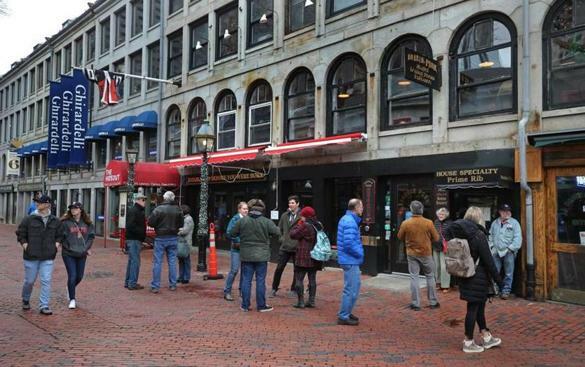 Editor’s note: This file has been updated to restore the Rebel Rebel listing, which had been omitted from the web version due to a production error, and to update the headline to indicate there are 12 new places to grab a drink.